Ho, ho, ho and welcome to this very merry Christmas edition of Costco Food Finds. It’s December and if there ever was a month to hit up the Costco for some bulk buys this would be it. With more guests at your table or parties to attend this is a great way to make that membership save you some dough. In this month’s Food Finds I share some ideas for things to buy for your holiday get-togethers. These tips will help save you money as well as add to the deliciousness of your meals. I also have my healthy snack suggestion of the month as well as a plethora of great deals and products. Let’s get to it! 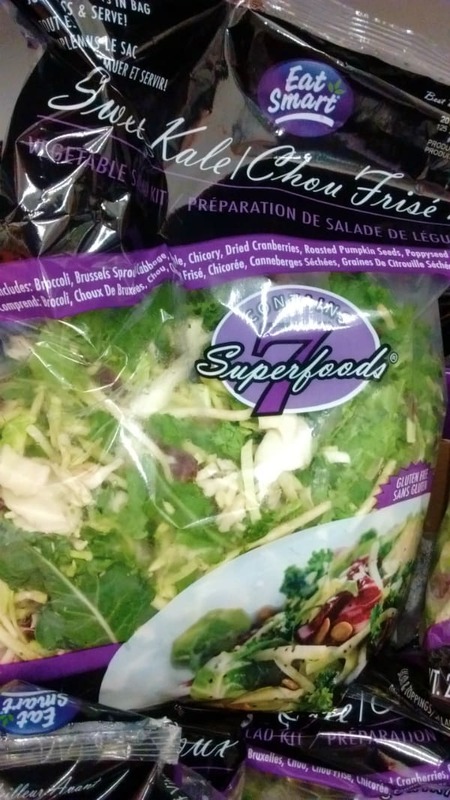 7 Superfoods in one salad! 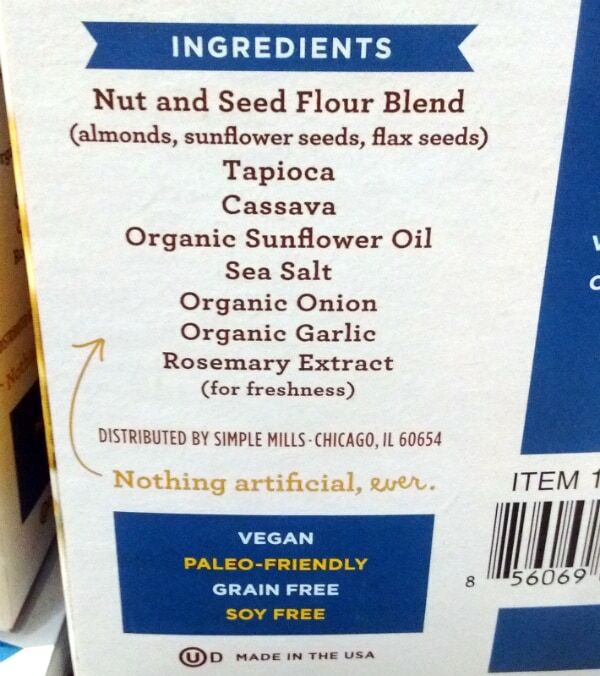 A friend recently brought this salad mix over to my house. It was a big hit. If you need to throw together a quick salad for a holiday meal this wouldn’t be a bad choice. It serves a lot of people as well. It is nice alternative to cold slaw as well. If you don’t like kale this is a good way to try to get yourself to like it. It’s not just a kale salad it contains many other things as well. The mix includes – Broccoli, Brussels Sprout, Cabbage, Kale, Chicory, Dried Cranberries, Roasted Pumpkin Seeds, and Poppyseed Dressing. 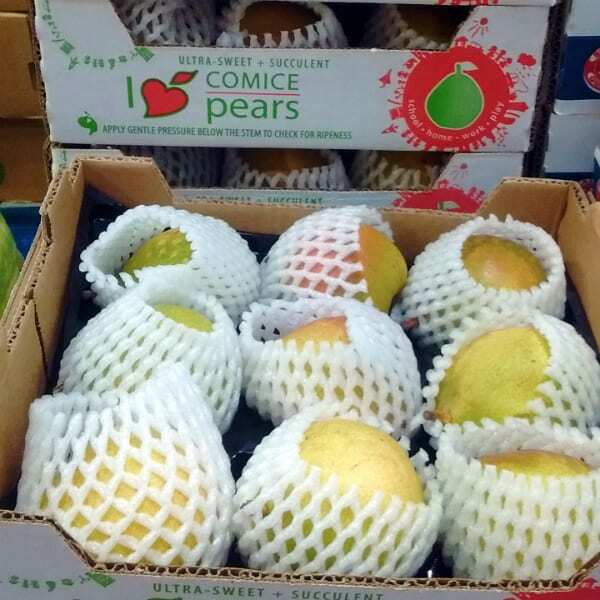 No doubt these are among my favorite pears. They are my favorite variety expect for ones I can find only at the farmers market. I would call them the World’s Best Grocery Store Pear. This large pear is juicy and sweet, with great flavor. They are at their peak right now. I would bypass the Bartletts and grab a box of Comice, you won’t regret it. These are a black seedless grape variety from Sun World. They are a late season variety with great flavor and appearance. I love that Sun World labels the variety of their grapes on a lot of their packaging. They don’t just say this a red grape or this is a black grape. Next time I can know if this variety was good or not. My favorite variety from Sun World is the Sable Seedless variety available in the summer time at Walmart. These grapes are the perfect thing to serve on a holiday fruit tray. 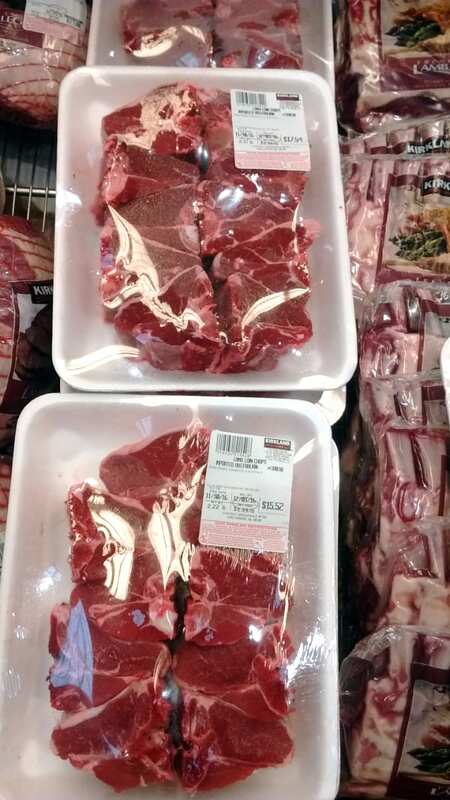 Is lamb your choice of meat for the holiday season? 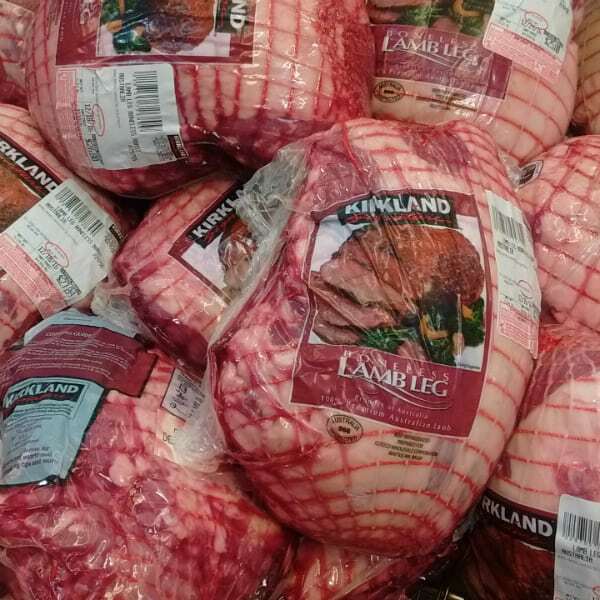 Costco has a much larger selection at this time. Here is a list of the cuts they had available. 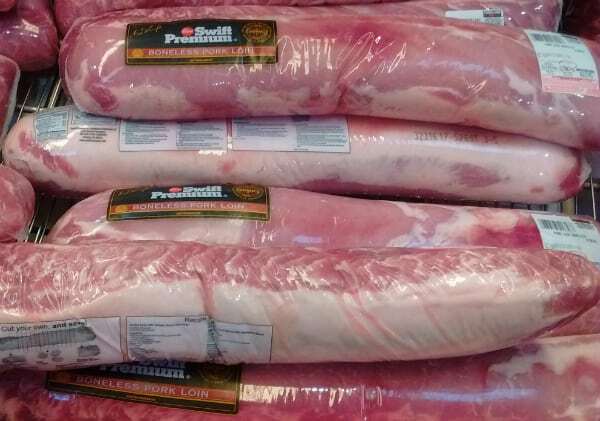 A vacuum sealed boneless pork loin. Here is a sale you have to watch out for. 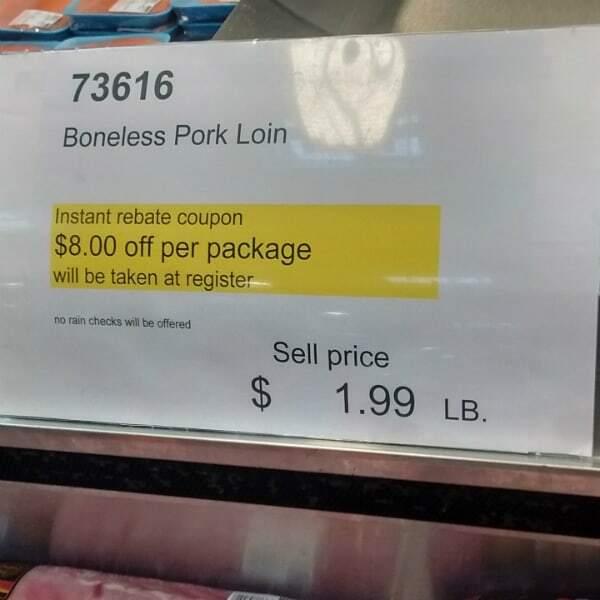 You get $8 off a boneless pork loin. 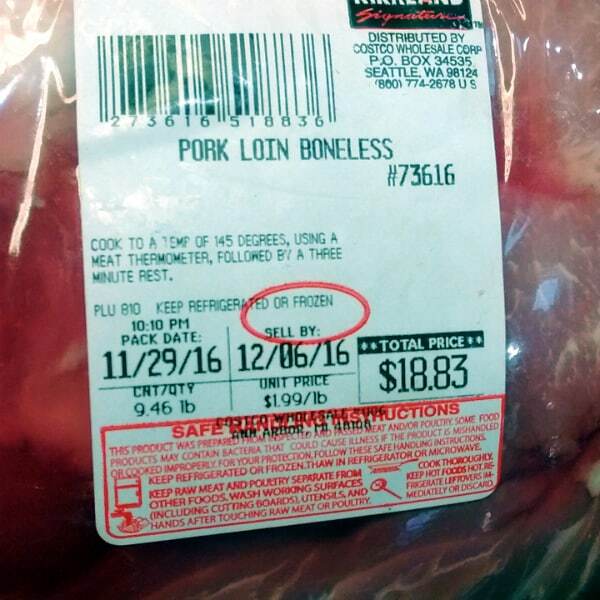 The price of pork is $1.99/lb. What a way to save money off something that already was at a great price. You can cut these into smaller roast or pork chops and freeze them for later use. Or consider serving this at your Christmas table for a budget friendly main course. This would be $10.83 with the $8 instant savings at the register. One of the best medium cheddars you can buy and at a great price. This is an item I see there all the time, but I did not want to pass it over this month. 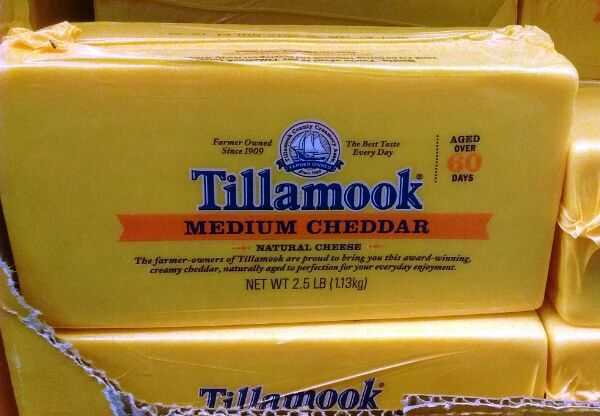 I love Tilamook cheese. I am disappointed that it is not as widely available and for as good of a price here in Michigan compared to where my in-laws live in Southern California. Costco has the best price on it in my area, they also carry the Colby. Their cheese is the best block cheese I have found, made from a large producer. Making a holiday cheese tray? This cheese is a great way to save money while impressing your guests. Mayo made with avocado oil. 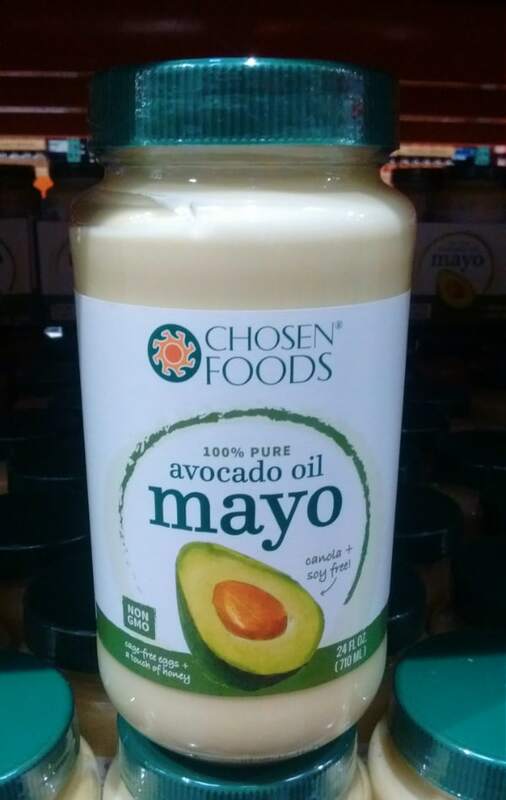 Looking for an alternative to your regular mayo? Avocado oil is all the rage right now. Lot of people are saying it’s really good for you. Many people are avoiding canola and soy based oil that many mayos are made of because they are concerned about GMOs. My wife was excited about these olives. 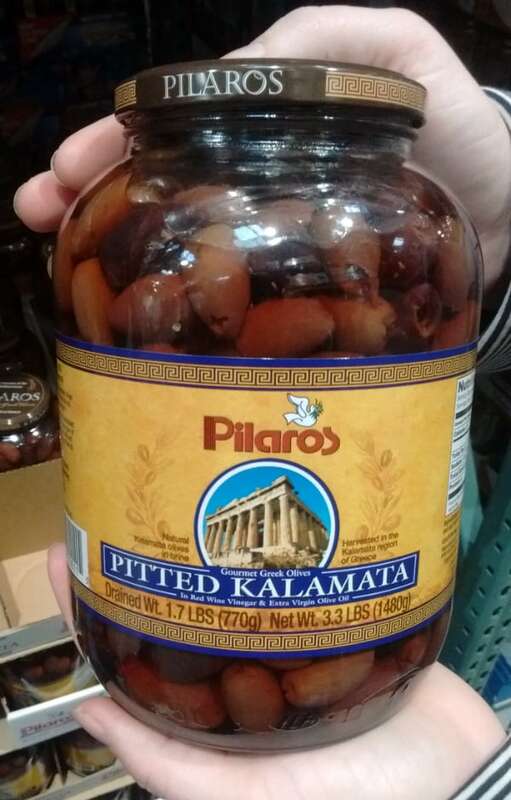 Kalamata olives are large purple olives. They are known for a smooth and meaty texture. There is a city in Greece called Kalamata – that is how the olives got their name. Unless you eat a lot of olives I usually don’t recommend buying them in bulk. Sure they last a while but they also take up room in your fridge. However with the Christmas season upon us and lots of opportunities for parties and celebrations, this is the time of year where buying them in bulk is a good idea. Each month I am going to highlight some of the best, healthy snacks you an buy at Costco. Pretty simple stuff. The only thing you may not recognize right off the bat is casava – which is a starchy tuber. It is gaining popularity in gluten free baking. Here is another blogger who knows more about it than I. Did you know that you can make your own crackers? 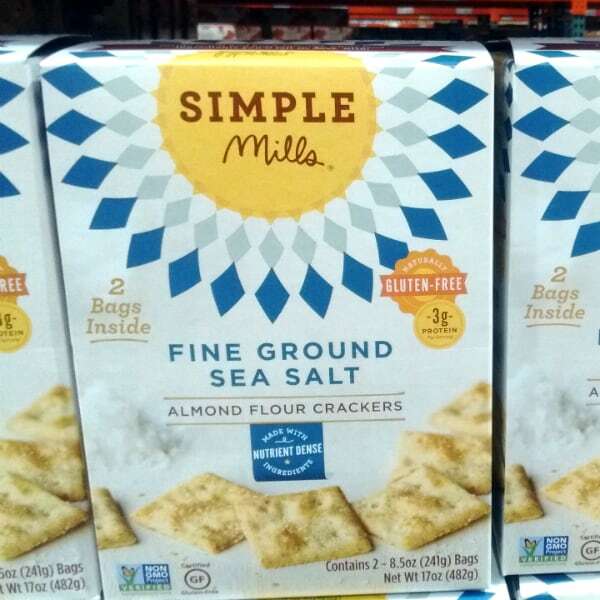 They are actually pretty simple to make – flour, fat, seasonings. That’s it. I haven’t made any gluten free crackers as of yet, but I have made some honey cornbread crackers you can try to make yourself. 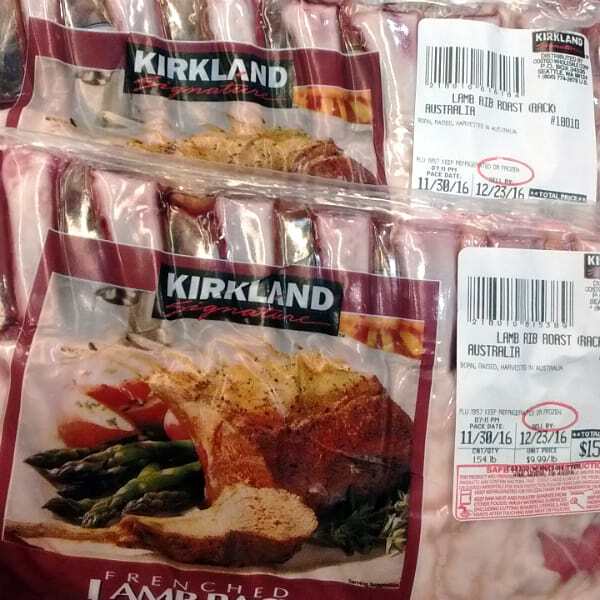 Want to make sure you see every Costco Food Finds post each month? Sign up below for my Costco specific newsletter. You will get everything Costco related that I have to share.